We’re all looking for a crib mattress that will deliver the safest sleeping environment for our child. But how can we find the right product when an overwhelming amount of choice is on offer? The best breathable crib mattresses are ones that marry together safety, breath-ability and comfort. You’ve come to this page because you’re willing to invest a little extra to ensure to get the safest breathable mattress for your baby. 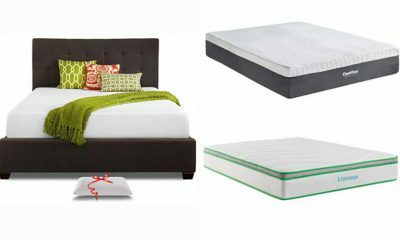 Below, we’ve run through 3 of the top crib mattresses but, before we start, let’s look at how we made our top picks. After putting in 20 hours of research and comparing the components of our top 10 baby mattresses, we think the best breathable crib mattress for most babies and toddlers is the NEWTON MATTRESS. It has the best breathability and is completely safe, greatly reducing the risk of SIDS. 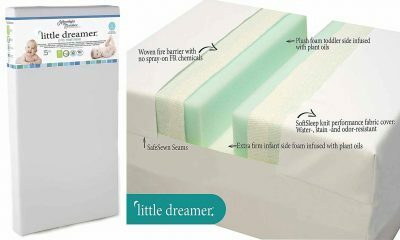 Here are the latest reviews of the 3 best breathable crib mattresses to reduce the risk of SIDS. When a company gains as many column inches as Newton Baby does, it’s impossible not to sit up and take notice. 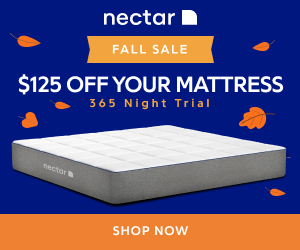 The US-based manufacturer is currently the number one provider of crib mattresses in the America.Featured in reputable news outlets like the New York Times, the Newton Wovenaire is a promising, breathable mattress with an affordable price tag. But what puts this crib mattress above the competition? Read on to find out. 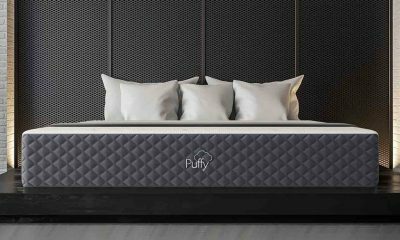 The mattress starts out with a food-grade polymer which means it’s safe enough to eat off. The polymer is then cooled in water which results in an inner mattress that is free air. The honey-comb-like design circulates air and lowers heat retention. More importantly, it still delivers a firm sleeping surface, which we all know helps to reduce the risk of SIDS. There are no latex, springs, glue, foam or allergens present in this fabric. It’s hypoallergenic without chemical emissions or fire-retardants. The cover is as an important piece of the puzzle as the inner layer. The Wovenaire uses what’s called a 3-d spacer cover. Dual linings are woven together to help create pockets of air which circulate when there’s movement in the crib. Both the cover and the mattress have earnt a Greenguard Gold certificate for low emissions. Crib mattresses should be as practical as they are safe. The outer cover is machine washable using a simple zip design. It should be washed in cool waters on a low spin to prevent the fabric stretching or shrinking. The inner mattress can also be washed when a deep clean is necessary. Simply place the crib mattress in a bath of cool water to soak. Once you’ve taken it out, the positive airflow will help it to dry quickly throughout. This product has already won over 10 professional accreditations. It’s expensive as far as crib mattresses go, but customers can access a 100-night free trial period. If you’re not convinced after that, simply return it for a no-questions-asked refund. When the first Breeze crib mattress hit stores in 2014, it was a revolution. Receiving recognition from national papers and parents alike, the Lullaby Earth Breeze was a huge hit. This modern version takes the finest features of that original design and applies them to a 2-stage mattress. The standout feature of this mattress is its versatility. If you’re looking for a breathable crib mattress for a convertible crib, this is the product for you. 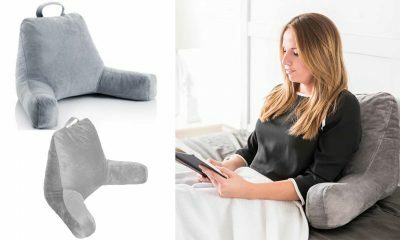 The dual-sided design features a firm side for infants with a plusher side for toddlers. Both sides are exceptionally breathable. So How Does The Lullaby Earth Breeze Really Work? Inside the mattress is a single piece of flat mattress. Breathable mattresses present a problem because if air can pass, so too can molds or mildews. Lullaby Earth counteract this by providing a waterproof inner which is hypoallergenic and resistant to dust-mites, microbes and harmful bacteria. It’s common knowledge that breathability is a key factor in a good crib mattress. 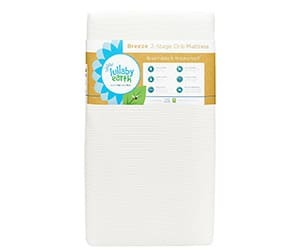 Lullaby Earth provide a woven mattress pad to help air, and heat, circulate in and around the mattress. 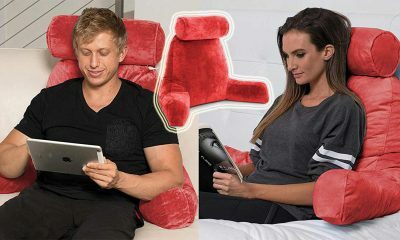 The cover is fully machine-washable and stain resistant, which makes us confident of a practical yet premium product. 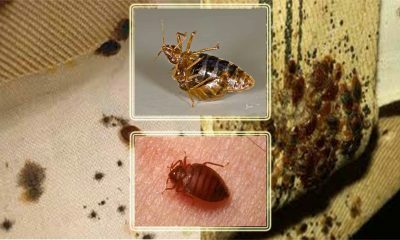 Unfortunately, the use of harmful toxins or chemicals is commonplace in crib mattress. Among other things, chemical fire retardants present a real danger to the air your baby is breathing. Lullaby earth passes all safety standards for crib mattresses. They use no phthalates, leads, polyurethane or fire retardants in their products, and hold a Greenguard Gold certificate as proof. 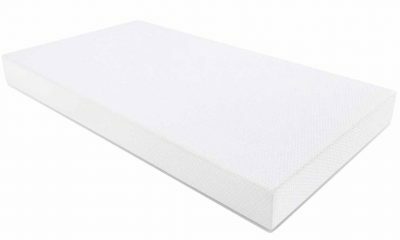 One of the areas this crib mattress stands out is safety. 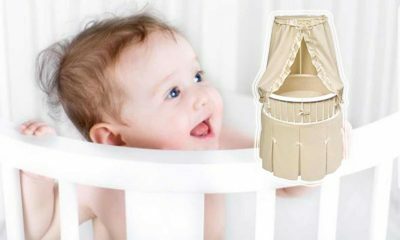 For most parents, safety is the primary concern when shopping for breathable crib mattress online. Particularly impressive was the edge support on the Lullaby Earth. It’s sturdy and supportive, lowering the risk of a child slipping between the edges of the crib. In addition, we also found the crib mattress to be firm enough for an infant to sit on the upper surface without sinking in. Available for less than $300 with a 30 day returns policy, we loved the features, safety and materials in the Lullaby Earth Breeze stage 2. 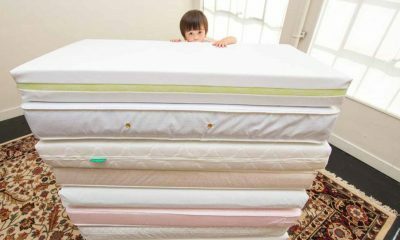 When it comes to finding a natural crib mattress, things are not always as they seem. 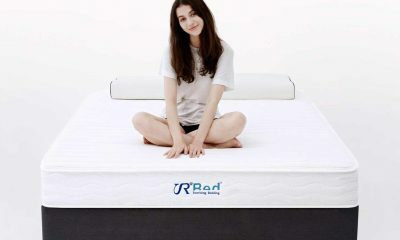 Many companies will boast of natural mattresses like soybean or plant oil extract. These fail to mention that to be classed as natural you only need to have 5 percent of the materials made from soy or plant-based oil.The Emily crib mattress was named after the founder of My Green Mattress’ daughter. Having searched for a truly natural crib, he found the options limited and instead sought to create his own, all-natural crib mattress for children with sensitive skin. These springs are topped off with a breathable layer of GOTS certified organic cotton. The cover is made from Eco-wool right here in the USA. So, why focus so much on natural wools? For children with sensitive skin or allergies, natural materials will provide a texture that is soft on their skin. Furthermore, chemicals used in the production of polyurethane, or cheap foams, bleed into the surrounding atmosphere. That puts your child’s breathing environment at risk. 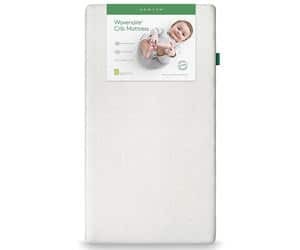 These crib mattresses are free from harmful toxins because the materials used are all found in nature, delivering a safe, breathable environment for your child. 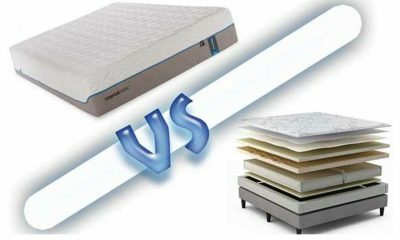 Natural mattresses, like most eco-friendly products, tend to be more expensive than their chemical-based counterparts. The Emily crib mattress is double-sided, which means you can flip it to get a longer lifespan. There’s a 100-night free trial period as well as 10-year manufacturer’s warranty. Going au natural has never been easier. 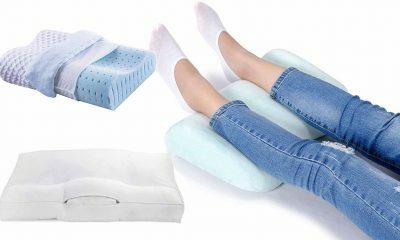 How To Find The Best Breathable Crib Bed Mattress? According to the Consumer Products Safety Commission (CPSC), an infant’s mattress should be firm. This reduces the risk of SIDS by ensuring your child won’t sink into a mattress and block their airways. As a rule of thumb, an infant should rest on their backs and sit atop the mattress with no noticeable indent. It might seem strange when you first feel just how firm a crib mattress is. Infants need different types of mattresses to sleep safely than we do. When they grow older though, you’ll need to consider a softer, plusher mattress. Softer mattresses are ideal for toddlers who need more comfort. After the first six months, the risk of SIDS is greatly reduced, making it possible to opt for a softer mattress without compromising safety. We’ve made sure to feature one product that is dual-sided, which will provide a sleeping surface for both infants and toddlers. When it comes to finding a safe mattress, the surest bet is one that has all the right certificates. These are awarded by independent bodies which test each mattress to ensure it represents no risk or threat. The first certificate to look for is the Greenguard gold certificate. Run by UL environment, this independent body test indoor air quality. In terms of mattresses, that means putting them through over 150 laboratory tests to make sure they won’t release harmful chemicals into the atmosphere. A mattress with a Greenguard Gold certificate guarantees that your baby’s breathing environment won’t be compromised by chemical emissions. Specific areas they look at are phthalates, leads, fire-retardants and polyurethane. All of these are known to cause various health issues, so it’s a relief to know your baby will be guarded against them. The Greenguard Gold certificate is the most common. There’s also Oetko-tex, an independent, global textile researcher. When you’re looking for natural, organic materials, this certificate provides proof. 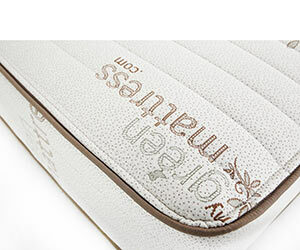 CertiPUR-US is specifically aimed at safe polyurethane foams, which are common materials used in crib mattresses. Again, this is a non-profit organisation that ensures products are made with minimum impact on the surrounding environment. Whatever you choose, independent certification ensures production of safe, eco-friendly or organic products. Without these certificates, you’re really just taking a company at its word that their products are what they say they are. It’s all well and good having a premium crib mattress, but if you can’t clean it, it’s not going to last very long. For us, ease of cleaning is vital to the daily lives of our readers. A mattress should be easy to remove from the crib, with options for both quick cleans and deep cleans. For quick cleans, we wanted removable mattress covers. Alternatively, ones that are waterproof and could be wiped down with a wet cloth make life easy. A removable mattress cover should really be machine washable. A waterproof one should avoid vinyl textures which scratch easily and release toxins. For deeper cleans, the advantage of a breathable mattress is that it dries quickly with the aid of airflow. The best shapes to look for are honey-comb designs with plenty of air passages. Two of the mattresses featured here match those criteria. The other is fully waterproof which means you shouldn’t have to deep clean it at all. The shape and size of a crib mattress is a practical consideration. The crib mattresses in this review use a square cornered design. This helps to reduce gaps in the corners which limbs can easily slip down. With square corners, a snug crib fit is easier to achieve. We’d recommend looking at square corners when it comes to buying a crib mattress. As for size, these mattresses are all US regulatory standard. That means around 52” in length and a width of around 28”. If you have a home-made crib, or one purchased outside of the US, measure the space against the specs to get a snug fit. You should be looking to fit no more than two fingers between the edge of the crib and the mattress. Both these are seeking the same solution in separate ways. A breathable cover, normally made from bamboo or weave, helps to absorb moisture, remove heat and promote airflow closest to your baby. They’re effective at promoting airflow but less so removing heat. If your baby sleeps very hot, the only way to go is a breathable mattress. These use an aerated foam, cotton or spring design to help airflow throughout. They tend to be more expensive but can be deep cleaned to expand lifespan. 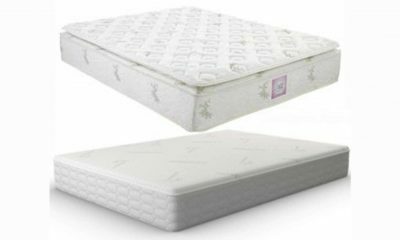 Buying an additional waterproof mattress pad is common because it helps to improve the lifespan of a crib mattress. They’re easier to clean as well. The issue is when you’re investing in a cheaper mattress pad to sit on an expensive mattress. Cheap waterproof covers will rely on polyurethane or vinyl textures. These are a problem. They block off airflow as well as retaining heat. In many cases they contain fire retardants or other harmful chemicals. If you’re set on getting a mattress pad, conduct a few quick checks. Make sure it is CertiPUR-US certified, hypoallergenic or made from natural materials. If you can’t go natural, look for a Greenguard Gold certificate to ensure no emissions will be released. 5% natural materials to be classified as a natural foam. When it comes to natural, you need to look closely at the materials. Oeko-tex certification is a good place to start, but make sure it applies to both mattress and cover. Likewise, look at the brands ‘about us’ page to be sure of their commitment to naturally produced crib mattresses. 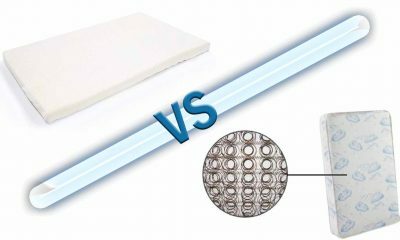 How a Breathable Baby Crib Mattress Works? During sleeping hours, we are less effective at regulating our temperature. We’ve all woken up in the night in a pool of sweat. Part of that might be a nightmare, but it might because your cover or mattress retains heat. Sleeping hot effects both adults and infants in the same way. We wake up. Alternatively, we don’t reach a full sleep cycle as the raised temperature keeps prevents us reaching all four stages. Sleep is essential to development, growth and mood. So how does a breathable mattress improve this? Heat needs to be wicked away from the body to aid your temperature regulation and cool you down. The fastest way to achieve this is by promoting airflow; which is precisely what breathable mattresses do. As well as using a woven design, most breathable covers will use natural fabrics like bamboo or cotton. One of the properties of this type of fabric is its ability to transport to the surface of the fabric where it cools down quicker. On a vinyl surface, or fully waterproof one, moisture will stay on the surface or form puddles. These puddles can not only be urine but also sweat. Sleeping on a wet surface will either wake you up, or keep you up. Breathable fabrics, by their very nature, are not waterproof. They allow air to circulate which also allows moisture to be absorbed. That prevents puddles from forming. The increased airflow lets water dry quicker, although you will have to wash your covers on a regular basis. As I mentioned before, rebreathing is a controversial topic. The theory is that air which is breathed over and over steadily increases in carbon dioxide and reduces in oxygen. The AAP do mention rebreathing as a potential cause of SIDS so it’s better not to take the risk. 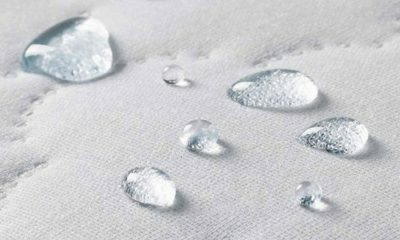 Breathable fabrics help to disperse carbon dioxide, replacing it with oxygen. Simply put, it reduces the chances of rebreathing. Suffocation is also to blame for the 3,500 SIDS and breathing-related deaths in the US. 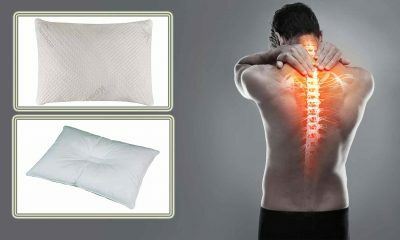 A breathable mattress and cover working in tandem prevent suffocation. Even if you are face down on a breathable mattress you will still be able to access a source of air without risking suffocation. This is not true of non-breathable, polyurethane based covers. Does Breathable Mattress Help to Get Rid of SIDS? In the US, 3,500 babies die from SIDS each year. These include strangulation or suffocation and most experts recommend removing obstacles that could block air passages. The popularity of breathable crib mattresses comes from their superior safety. Having a lot of airflow for your baby in the crib helps to reduce the impact of respiratory issues. In some cases, it can be beneficial to reducing the inhalation of toxins and chemicals. In terms of SIDS, breathable mattresses ensure a baby won’t accidentally cut off access to air. Getting too hot is another risk factor in SIDS. The more airflow a mattress has, the better it is at circulating heat and keeping your baby at the right temperature during the night. You can find a full breakdown of causes of SIDS on CPSC, NHS or ASP websites. 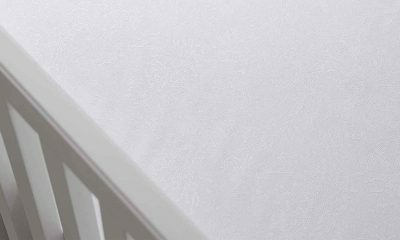 Why Should You Use A Breathable Crib Mattress Cover? Breathable fabrics help to circulate air, keeping it fresh as well as cool. A breathable mattress cover, or mattress pad, is a cost-effective way to ensure your baby sleeps in a comforting environment. These fabrics usually use a woven design or a natural material like organic, oeko-tex certified cotton. If you’re investing in a breathable mattress, by which I mean a honey-comb foam or spring coil, a breathable cover is essential. The cover is the part of a mattress that is closest to your child. If this is impermeable it will block airflow, undermining the point of your investment. Finally, a breathable cover will stop your baby from sweating excessively during the night. This is a crucial factor to consider as it reduces SIDS. It also means the cover will dry quickly during the night by exposing moisture to airflow. Breathable covers usually come in two types: removable and non-removable. Of the two, we’d always recommend removable covers. They’re easier to clean by throwing in the machine and will last much longer. Try to avoid zippers on removable covers as the zipper tends to break after the first few washes. Why Do Paediatricians Recommend Breathable Mattress? In the interests of honesty, we’re going to look closely at what’s recommended by the American Association of Paediatricians (AAP) for this next section. You can find a full breakdown of everything written here on their website. A new set of rules has been released to help tackle SIDS. In term of breathable mattresses, we’ll stick to the bits you need to know. A hard, firm sleeping surface is recommended by the AAP in their newest standards of safety document. 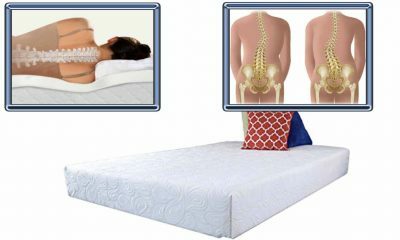 Mattresses that are too soft risk suffocation or, in some cases, rebreathing. Although rebreathing is controversial as a cause of SIDS, a breathable mattress does help to reduce rebreathing and suffocation. Don’t forget, a breathable mattress isn’t a guarantee of SIDS prevention but more a preventative measure. Overheating has been linked to SIDS. In some cases, improving air flow helps to reduce overheating. Mattresses that are waterproof can retain heat worse than breathable fabrics. These are the two core reasons for getting a breathable mattress to reduce SIDS. However, this is not a perfect solution. Check out the risk areas on the AAP official website and take all the steps necessary to help reduce the chances of SIDS occurring. How Do Mattress Toxins Affect The Air My Baby Breathes? According to the Consumer Safety Products Commission (CSPC), fire-retardants, leads and phthalates, which are sometimes found in polyurethane, release into the air over time. At first this will be minimal. But, as a mattress gets older, the pressure and weight causes chemicals to release. As your baby’s head is in direct contact with the mattress or cover, these chemicals are inhaled. This can make asthma worse in some cases, although for most children, it will cause no noticeable difference. The question is whether or not you want your baby breathing in toxins at all. Most parents would say no, which is why natural fabrics are increasingly popular. These natural fabrics have no emissions that are harmful. Equally, anything that has a low emission will be endorsed by a Greenguard gold certificate. 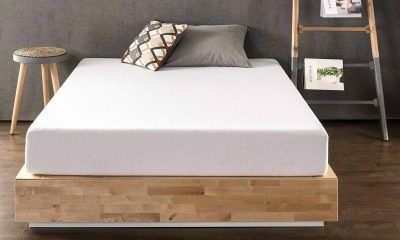 Is There A Cheap Way To Get A Breathable Mattress? Breathable mattresses, on the whole, use innovative design to promote airflow. Naturally, that makes them more expensive. 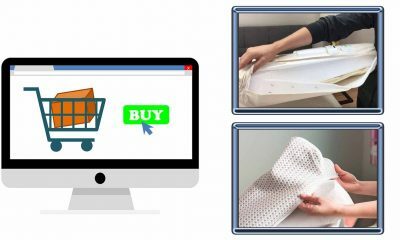 If you’re shopping on budget, you can pick up a breathable mattress cheaply, although you will have to sacrifice on quality of fabrics and materials. Traditional coil spring mattresses are breathable and affordable. The design has open space between coils which leaves a lot of space for air to circulate as well as heat. Cheap foam mattresses are dense. That means they actively inhibit airflow as well as retain heat. What Else Can I Do To Avoid Sids? An important thing is to always rest your baby on their back when sleeping. You need a firm surface that will prevent them from sinking into the mattress and cutting off airways. Also, you should remove any obstacles or objects from the crib. In the first six months, bring the crib into your room. Even better, do this for the first year. After one year has passed, the risk of SID is greatly reduced. This means you can use a softer, more comfortable mattress for your little one. Secure Beginnings was a national crib mattress manufacturer that released an expensive, breathable crib mattress to worried parents. The company itself relied on questionable research that played on a parent’s worst fear, stating that rolling over in a cot was a death sentence. The shocking statistics relied on rebreathable carbon dioxide. The theory goes, that if a baby is face-down, rebreathing air, their lungs will fill with carbon dioxide causing SIDS. However, the studies used to support this theory were not legitimate. As such, the brand was forced to close. Interesting in seeing their closing statement? You can find it here. The company blame their closure on poor customer service but that doesn’t paint the whole picture. Why We Don’t Like Secure Beginnings Breathable Crib Mattress? The research that supports the companies claim was poorly conducted and incorrect. However, that didn’t stop the brand from pasting it on their Facebook, advertising campaigns and website. The truth is that SIDS is a mysterious cause of death and there is no conclusive answer to preventing it. Of course, that doesn’t mean you can’t reduce the risk. Secure Sleep claimed that babies rolling over in the night was a hazard. This is patently untrue. At the age when babies start to move, 6 months, the risk of SIDS is greatly reduced. However, it is important to place them on their back to start off with. The fabrics and materials have been retracted by all outlets, so we can no longer find out exactly what was going on with these products. In spite of that, it seems dubious that they were independently certified or good quality. Parents who were scared into purchasing their products were then treated poorly. Secure Sleep ran out of stock. But, instead of stopping taking orders they continued to accept them, and consumer’s money. Angry customers were treated to awful customer service and never received their purchases. There is currently an active lawsuit against Secure Sleep’s manager for failure to communicate inventory with partners. Parents, in particular, are susceptible to aggressive marketing. Secure Sleep used fear to increase their profits. Bogus research and playing on parent’s understandable fear of SIDS was key to increasing their sales. For all of the above reasons, we can’t recommend Secure Sleep and, if you already own a crib, we recommend you seek to replace it. Considering the above, we’re ready to dive-in to our recommended crib mattresses. Below, are three of our favorites.